Training a horse is not nearly as easy as many people consider it to be. There are so many lessons a young horse needs to learn before it can even become a proper racehorse. 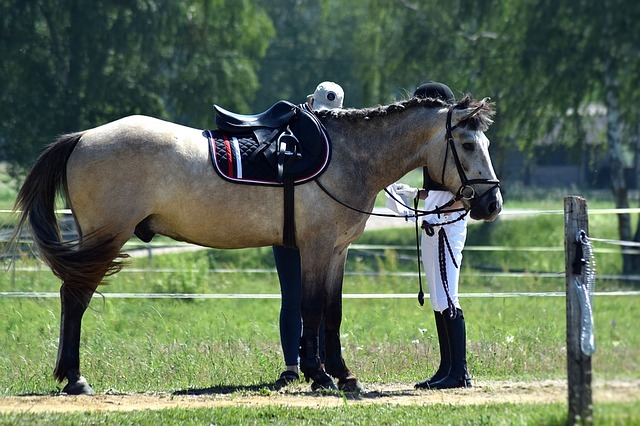 Every horse is a bit different, so the training must be specially adjusted for that particular horse to follow its progress and help it get ready for the race! There are two different scenarios that the trainers confront at the beginning of a horse’s training. You might purchase a horse which is already trained and accustomed to being handled, groomed, walked and bathed. This will greatly help facilitate the rest of the training and influence the speed of the horse’s development. On the other hand, when you are dealing with a young and completely untrained foal you will have to put much more work on a daily basis because handling them won’t be easy at all. 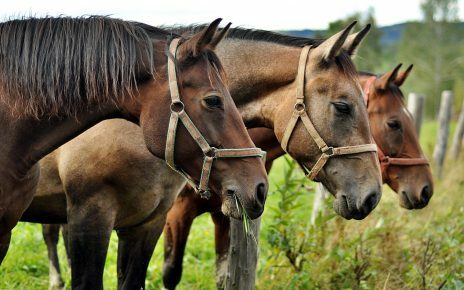 Even if it might be considered that a full year is young for introducing equestrian equipment, racehorses need to get accustomed to it as early as possible. Yearlings that are trained for races will probably be introduced with a bridle, headstall, surcingle and later on even a saddle and girth. This way, the horse will slowly begin to accept the weight on its back. When To Mount A Rider? After the early training stages, when a yearling is still in the stall wearing equipment, the trainer will begin to put additional weight on their backs. This usually happens after a week or two once the equipment is introduced. For safety reasons, this part of the training is usually implemented while the yearling is still in the stall. 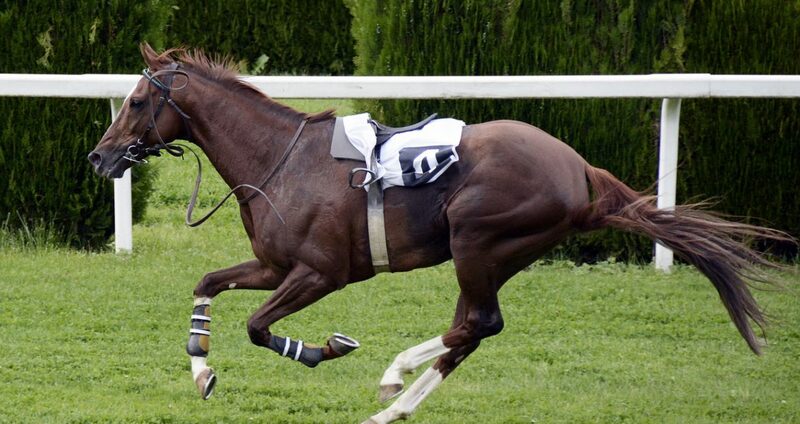 One crucial lesson of a racehorse training is to let it learn how to walk and stay active with the tack on. Primarily, the equine trainer will have them walking the shadow, and later on, they will be able to go to the round pen as well. All of this is done so that a young horse can eventually accept the rider on its back, and learn how to move and breathe with weight on top of him. 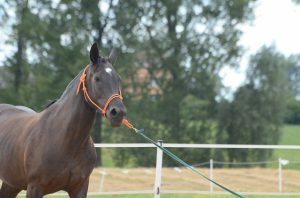 Once the horse has reached the previous milestone, the trainer will start to take it out to the open field or a bigger space. Here, the two will practice jogging and pacing until the horse becomes completely physically and mentally able to perform more complicated tasks. The reason for the slow and steady progress is to prevent any kind of injuries. 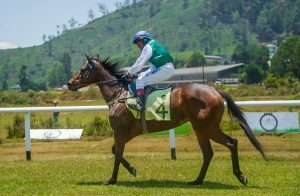 Every horse has its own pace, and the trainer should make a good evaluation of when is the right time to set it off to galloping. The moment they start practicing being at the gate, the trainers will start introducing a second horse or possibly a dummy. The end result of it all is the ability of the horse to prance swiftly from the gate and race the other horses without any interruption. As the young horse turns 2 years of age, picking up the pace during the training will be implemented. The tempo will get higher and higher each day, and the horse will gradually become a full-grown racing horse.